On August 9, 2012 Fafco Solar, a Cape Coral solar company, will host a Learn About Solar Energy event in order to provide answers to the public’s questions about solar power and it’s available technologies. CAPE CORAL, FLORIDA (July 12, 2012) Before America was even considered a country, Swiss scientist Horace de Saussure, in 1764, discovered solar radiation; capturing the sun’s light and heat for use as an energy source. Then in 1839, a French physicist named Becquerel identified the photovoltaic properties of the sun’s energy which lead to further discoveries between the sun and its uses in generating electricity. The spirit of these pioneers continues today. Advances in solar power design and application have been exceptional, allowing mankind to tap into this continuous, green energy resource called solar power. 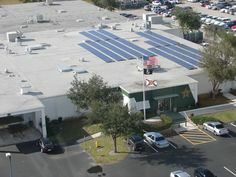 Fafco Solar of Southwest Florida has provided renewable energy solutions to its customers for over 35 years and remains current with all solar power technologies. 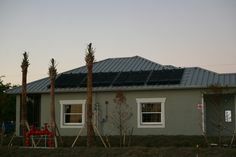 On August 9, 2012, this Cape Coral solar company will host a Learn About Solar Energy event at Larson Education Center, 1400 Colonial Boulevard #44, Fort Myers, FL 33907. From 6pm to 8pm, an informative presentation on the various kinds of solar energy that are popular in Southwest Florida will be given. Interactive and hands-on-displays of the latest and various solar panels, along with other solar technologies, will be available for examination. Congress passed, The Energy Improvement and Extension Act of 2008, significantly expanding and extending the corporate and individual investment tax credits for solar power investments, through the end of 2016. In brief terms, homeowners who install a solar energy system may be eligible for a tax credit of 30 percent of installed costs. Additionally, utility incentives abound. For example, FPL is currently making available a $1,000 rebate for residential customers installing solar water heating systems. Commercial interests are also eligible for rebates. Incentives and Tax Credits are just some of the many topics to be covered during the event. “We want people to have a chance to have their questions about solar answered, without bias and high pressure sales tactics. 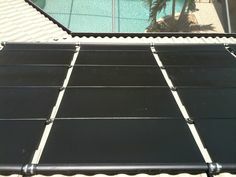 The technologies exist for people to improve their world and environment through solar power. We want people to be informed and have the choice to choose what’s best for them,” added Szumlanski. Products such as solar pool heaters, solar water heaters, solar electric systems, solar tubular skylights, solar attic fans and solar pool pumps will be available for inspection and professional staff will be available for questions throughout the event. Previous Post: Why Do People Invest in Solar Energy?